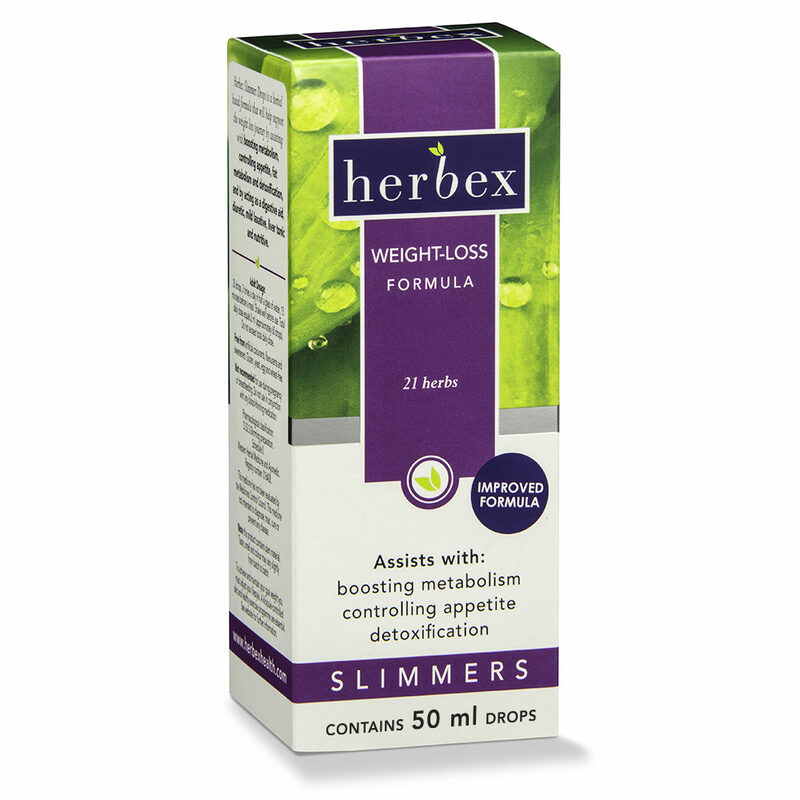 Herbex Slimmers Drops is a herbal-based formula containing 21 herbs that will help weight-loss by boosting metabolism, controlling appetite, fat metabolism and detoxification, and by acting as a digestive aid, diuretic, mild laxative, liver tonic and nutritive. Inactive ingredients: Ethanol (96,4 % v/v) and water. Contains alcohol: 50 % v/v. Dosage: DAILY: add 15-20 drops to a glass of water. Take 15 min before every meal. NOT to be taken by children under the age of 12 years. Note: To achieve and maintain your goal weight you must adjust your lifestyle. For full list of herbs, see ingredients. Some of the KEY FUNCTIONS of the herbs we include: Reduces appetite Overeating is the main cause of weight problems. 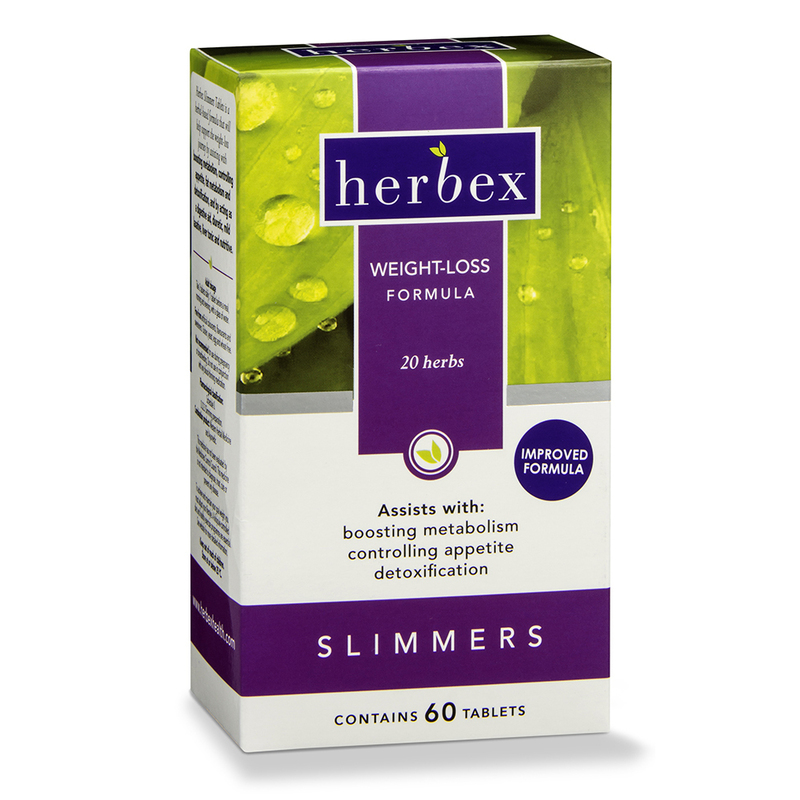 HERBEX SLIMMERS now contains Garcinia Cambogia, a herb which naturally reduces appetite and hunger pangs. Metabolic enhancer A slow metabolism means your body stores fat instead of burning calories. HERBEX SLIMMERS will increase your body’s metabolic rate thus burning excess calories. Fat metaboliser Overweight people usually carry excessive fat deposits resulting in unsightly cellulite and fat ‘rolls’. HERBEX SLIMMERS will assist your body to burn up fats and eliminate them from your system. Digestive aid A sluggish digestion results in fat and toxic build up in the system. 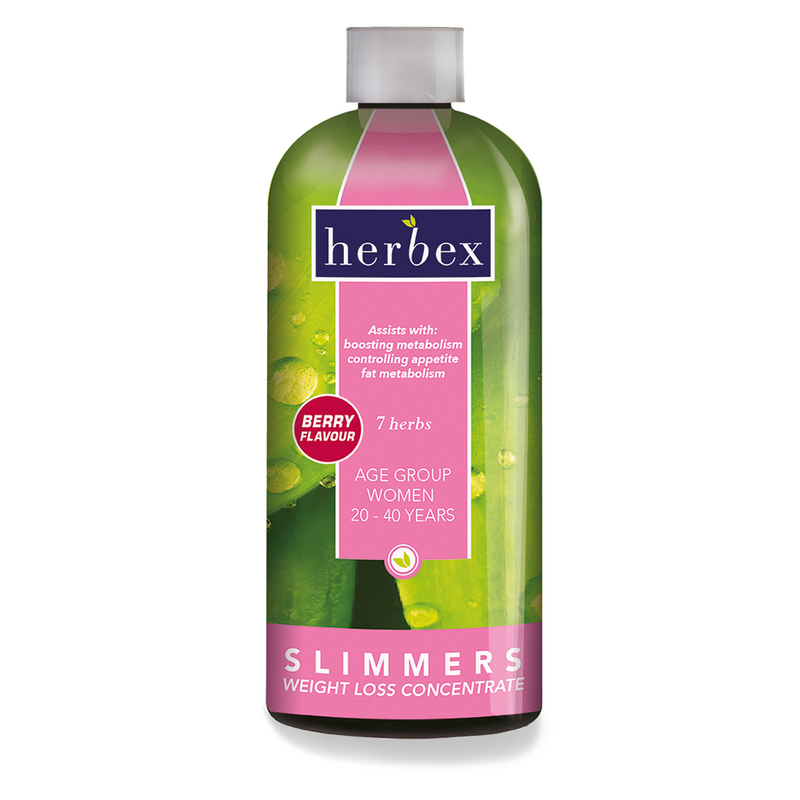 HERBEX SLIMMERS will improve your entire digestive system. Nutritive Not eating balanced meals can result in a nutritionally poor diet causing your body to crave nutrients, which leads to overeating. The 33 herbs in HERBEX SLIMMERS supply essential vitamins, minerals and trace minerals to feed your body. Gentle laxative Many overweight people suffer from chronic constipation. 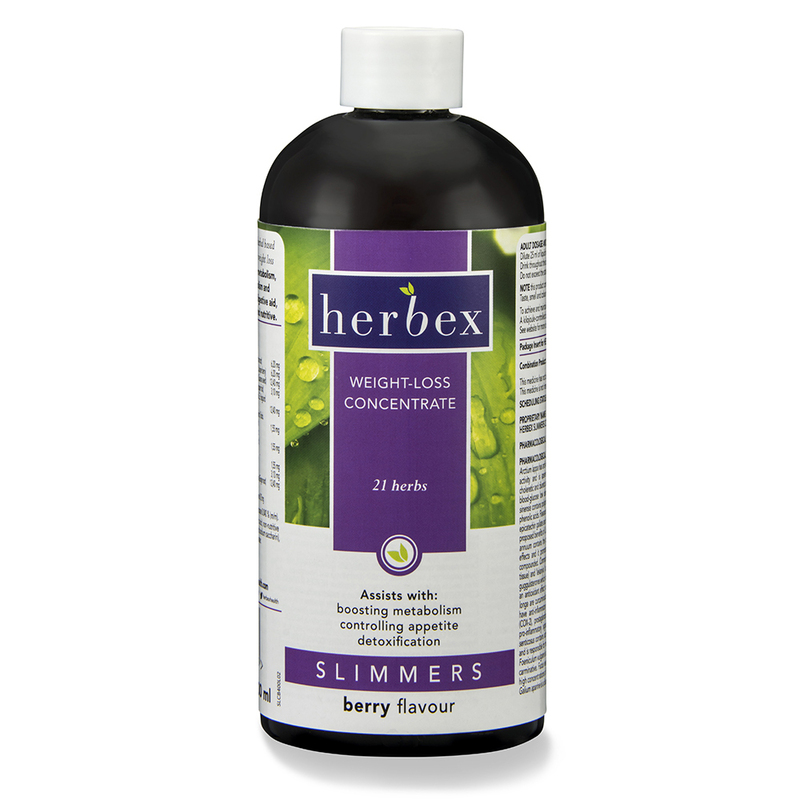 The eliminating herbs in HERBEX SLIMMERS will assist the body to eliminate wastes more easily. Diuretic Water retention is a common complaint of people with weight problems. HERBEX SLIMMERS will ensure efficient functioning of the kidneys, ridding the body of water weight. Mood enhancer The nerve tonic herbs in HERBEX SLIMMERS will help you to cope better, feel better and perform better. You’ll develop a positive self-image as a result. NOTE: This product contains plant material. Taste, smell and colour may vary slightly from batch to batch. A FEW TIPS to help you live your healthiest life possible: HEALTHY EATING: a weight-loss of 2 to 4 kilograms a month is healthy. Enjoy a variety of food but keep in mind portion sizes, types of starches and types of fat. Eat more fruit and vegetables and try to reduce your sugar intake. USE A PRODUCT THAT WILL HELP YOU: Using Herbex Slimmers Drops correctly is of great importance in your weight-loss programme. DRINK PLENTY OF WATER: Drink at least 8 glasses of water each day. Water cleanses your body and replaces fluids lost through exercise. Make a habit of drinking water at set times. EXERCISE REGULARLY: To burn fat and improve your health in general, aim to exercise for an hour, at least 3 times a week. STAY MOTIVATED: Be positive and set yourself realistic goals. 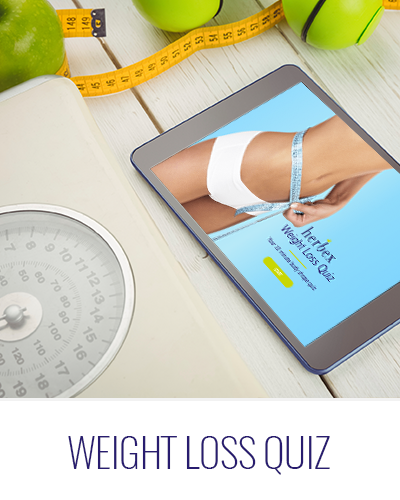 Keep in mind a picture of a slimmer, fitter, healthier and more confident you. It is not recommended that pregnant women take any form of herbal/natural product. Do not use in conjunction with any blood thinning medication. Keep out of reach of children.